Here you will find presentations covering some aspects of wood bridge construction and maintenance. Watch this space for new presentations. Brashaw, B.; Hemmila, M. (2010). “Minnesota Timber Bridge Construction – A County Perspective.” SmallWood 2010. Natural Resources Research Institute. Caldwell, D. (2010). “The Year at a Glance.” SmallWood 2010. Hardwood Market Report. Cassens, D. (2010). “Traditional Hardwood Market Structure – Opportunities for Small Producers.” SmallWood 2010. Dept. of Forestry & Natural Resources, Purdue University. Cesa, E. (2010). “A Historical Review of the 15-year U.S. Forest Service Timber Bridge Program from a Utilization Perspective.” SmallWood 2010. USDA, Forest Service, Wood Education & Resource Center. Clausen, C.; Lebow, S. (2010). “Bridge Durability and Preservative Issues.” SmallWood 2010. USDA, Forest Service, Forest Products Lab. Davids, W.; Dagher, H.; Lindyberg, R.; Lopez-Anido, R. (2010). “FRP-Reinforced Glulam Bridges: Development and Implementation.” SmallWood 2010. Dept. of Civil & Environmental Engineering, University of Maine. Denig, J. (2010). “Kiln Drying Basics for the Small Producer.” SmallWood 2010. Wood Products Extension, NC State University. Dramm, J.; Hamel, R.; Vaagen, R.; Mace, T. (2010). “Have Mill Will Travel: The Mobile HewSaw Demonstration.” SmallWood 2010. USDA, Forest Service, Forest Products Lab. Duwadi, S. (2010). “National Historic Covered Bridge Preservation Program.” SmallWood 2010. FHWA – Federal Highway Administration. Faller, R.; Kretschmann, D.; Reid, W.; Hascall, J.; Sicking, D. (2010). “Crash System Development and Testing of Round Guardrail Posts.” SmallWood 2010. Midwest Roadside Safety Facility, University of Nebraska Lincoln. Fournier, R. (2010). “A Softwood Lumber Sawmill Approach to Low-Quality Hardwoods.” SmallWood 2010. HewSaw Machines. Hilbrich Lee, P.; Ritter, M. (2010). “The Use of Eastern Cottonwood for Stress-Laminated Sawn Lumber Bridges in Iowa.” SmallWood 2010. Smith Structural Engineers; Forest Products Laboratory. Hislop, L. (2010). “Pondersosa Pine Glulam Bridges in Arizona.” SmallWood 2010. USDA, Forest Service. Irland, L. (2010). “The New Market Reality: Strategic Factors for U.S. Hardwoods in the Coming Decade.” SmallWood 2010. The Irland Group, Yale University. Kitchens, S.; Seale, R.; Amburgey, T.; Barnes, H. (201). “Timtek: A Developing New Material for Bridges: Steam-Pressed Scrim Lumber (SPSL).” SmallWood 2010. Forest Products Department, Mississippi State University. Miller, B. (2010). “Suspension Trail Bridges Using Sustainable Materials.“ SmallWood 2010. HDR Engineering. Patterson , D. (2010). “Hickory – Problems or Opportunities.” SmallWood 2010. Arkansas Forest Resources Center, University of Arkansas. Pelkki, M. (2010). “Financial Condition of Loggers in Arkansas.” SmallWood 2010. Arkansas Forest Resrouces Center, University of Arkansas. Phares, B.; Ritter, M. (2010). “Bridge Monitoring – Security and Smart Bridges.” SmallWood 2010. 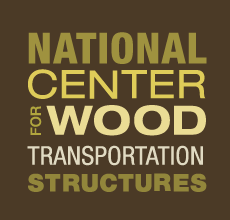 National Center for Wood Transportation Structures. Ritter, M. (2010). “A Historical Review of the 15-year U.S. Forest Service Timber Bridge Program from a Research / Technical Perspective.” SmallWood 2010. USDA, Forest Service, Forest Products Lab. Shmulsky, R.; Seale, R.; Jones, P. (2010). “New Structural Products from Small-Diameter Pine Trees.” SmallWood 2010. USDA, Forest Service, Forest Products Lab. Taylor, S.; Ritter, M.; Brodbeck, C. (2010). “Portable Timber Bridge Systems for Temporary Stream Crossings.” SmallWood 2010. Center for Bioenergy & Bioproducts, Auburn University. Voyles, S.; Rakos, C. (2010). “Wood Use for Engery – Experiences and Perspectives.” SmallWood 2010. proPellets Austria; Pellet Fuels Institute. Wacker, J. (2010). “Use of Red Pine for Stress-Laminated Glulam Bridges in Wisconsin.” SmallWood 2010. USDA, Forest Service, Forest Products Lab. Wipf, T.; Wood, D.; Phares, B.; Ritter, M. (2010). “Timber Railroad Bridges.” SmallWood 2010. National Center for Wood Transportation Structures. Hosteng, T. (2010). “Field Testing and Evaluation of a Demonstration Timber Bridge.” Structures Congress 2010. Iowa State University. Proceedings of the 1988 International Conference on Timber Engineering Volume II. International Conference on Timber Engineering 1988. Forest Products Research Society. Raymond Archibald. 1952. A Survey of Timber Highway Bridges in the United States. American Society of Civil Engineers.